Wise Registry Cleaner scans the Windows registry and finds incorrect or obsolete information in the registry. By fixing these obsolete information in Windows registry, your system will can work better and more quickly. 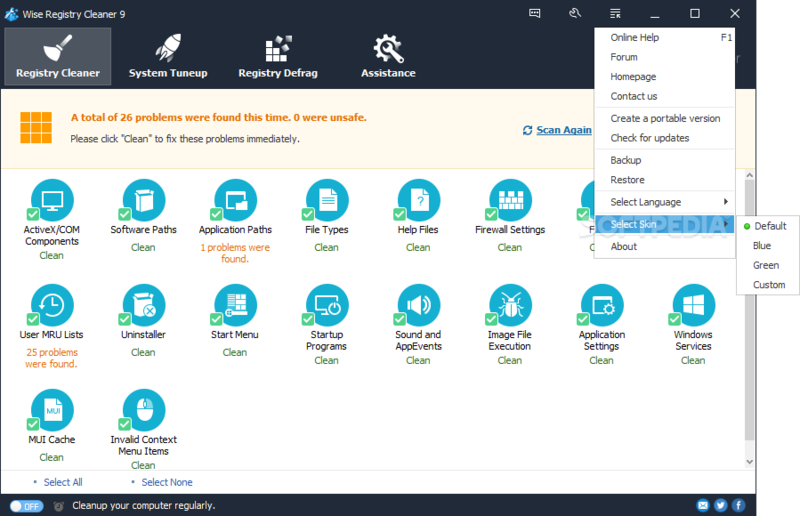 After Wise Registry Cleaner analyzes your system for problems, you can individually view each of the problems found and call up a detailed description. If you wish, you can also have all problems corrected automatically. All changes to your system are monitored by Wise Registry Cleaner and can be undone with a few mouse clicks, so you can use Wise Registry Cleaner feel relieved. It is strongly recommended to back up your data before using Wise Registry Cleaner! Fix bug in software section. Small improvements in scan mode.